we are counted amongst the leading and reliable manufacturers and wholesalers of a comprehensive array of wooden rocking chair. made using quality approved sheesham wood and other material, these chairs are known for enhancing the decor of the place and providing utmost sitting comfort. further, for providing movement to the sitting person, these come integrated with durable and qualitative side wheels. stringently checked and tested, these chairs can also be customized based on the specifications put forth by the clients. being a quality based firm, we are offering a quality approved array of plastic rocking chair. 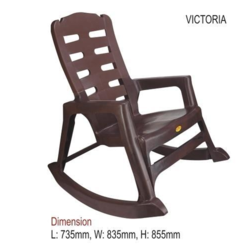 the plastic rocking chair we offer is widely demanded amongst the clients for its availability in various sizes and specifications. offered products are known for their sturdiness. 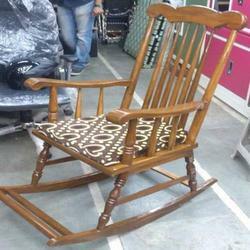 With the assistance of our skilled professionals, we are offering a quality assortment of Metal Rocking Chair. 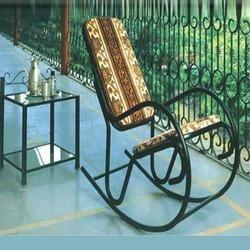 The Metal Rocking Chair is widely demanded for its availability in various sizes and specifications. These products come with back and arm rest. Recliner Chair is the most comfortable and user friendly chair used world wide by millions of people. It is the most popular and well accepted design under the folding chair category. However, quality and style of our chair differs from the other chairs in following respects. 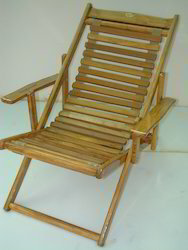 This wooden beach relax chair is with back adjustable giving different posture position to the person n its height as compared to other relaxing or reclining chair is more which is a good sign for an old age individuals.